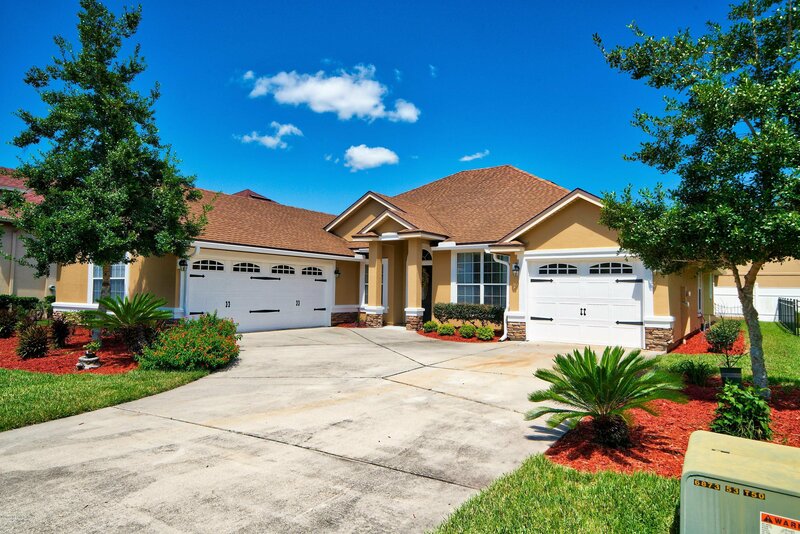 Come home to the lifestyle Eagle Harbor has to offer! This custom home with 4/3 is move in ready! This home is perfect for working from home with a separate entrance, garage, & office. The entry into a foyer has a formal dining space to the right then leads to an open floor plan living space. The kitchen has beautiful granite counter tops, bar & breakfast area. This home offers a split bedroom design and second ensuite bath. Family entertaining flows out to the covered patio and fully fenced back yard. Property has total of 3 car garage. Jump on the included golf cart for less than half mile to enjoy multiple piers for fishing along with Community Club Pools,Tennis Courts,Play grounds, & Basketball Courts. Listing courtesy of KELLER WILLIAMS FIRST COAST REALTY. Selling Office: VETERANS UNITED REALTY.